Printed Anno Domini, 1640 [i.e. 1641] [by Elizabeth Purslowe], London, 1641. Foundation Press, Inc., Brooklyn, 1946. Printed for Thomas Basset  Printed . 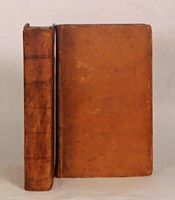 . . by George Croom, London, 1689 & 1685. First edition of one of the great cases of English law, confirming Parliament's right to legislate without subsequent Royal derogation, coupled with the trial of the London sheriff whose execution "secured his place in the pantheon of whig martyrs"
Printed for John Starkey [etc. ], London, 1689. The work establishing the reputation of Bacon, the half-brother of Francis Bacon, probably based on notes collected by John Selden, highly influential and "argu[ing] with unrelenting force an anti-royalist ideology of enormous political power"
Little, Brown, and Company, Boston, 1868. 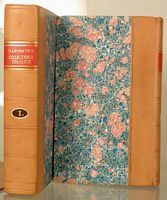 First edition of Cooley's magnum opus, a work admired by Holmes and used by him in his undergraduate course on constitutional law at Harvard, described by his principal biographer as "the most fecund source of laissez faire constitutional principles"
Imprints vary; Wing S564, A4138, A4141, and L396, all folios, London, 1687-89. "God Save This Honorable Court!" Charles Scribner's Sons, New York, 1972. Harvard Law Review, Cambridge, 1951. Lawyers Co-Operative Publishing Co., Rochester, 1987. The Journal of Law, Philadelphia, 1830. First edition of one of the earliest writings of the future Lord Chancellor, vigorously defending the right of Parliament to participate in determining royal succession, "review[ing] in detail the history of the crown's descent, from earliest times"
James I proclamation dissolving the Parliament of 1621, Coke having his books and papers seized and being imprisoned in the Tower for months, leading "to a constitutional confrontation with the king over [the Commons'] privilege of free speech"
Printed by A.N. for Mathew Walbancke, and Richard Best [etc. ], London, 1642. Matthew Bender & Company, Inc., New York, 1996. Oxford University Press, Glasgow, 1925. 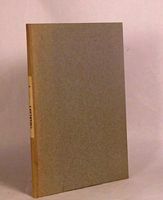 Imprinted at London by Bonham Norton and Iohn Bill [etc. ], London, 1629. Printed for G. Woodfall, Charing Cross [etc. ], London, 1770. Part of the debate whether John Wilkes should sit in Parliament, and most embarrassing for Blackstone, accused of saying one thing in his 'Commentaries' and another as a Member of Parliament, in Ian Doolittle's words "caught leaden-footed in debate"
Harvard University Press, Cambridge, 1914-15. The casebook prepared by Wambaugh for his course at Harvard in the subject matter area, constitutional law, for which he is remembered, particularly his "perceptively sound estimates of the direction of the movement of Supreme Court adjudications"
Printed by John Streater [imprints vary], London, 1659-60. 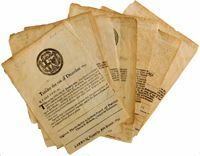 Eight rare or uncommon proclamations documenting Parliament's actions during the tumultuous months when England faced a military takeover, avoided with the restoration of Charles II and "ensur[ing] the future of parliamentary government in England"
Imprynted . . . in fleet strete . . . by Rychard Tottel [etc. ], London, 1567. Manchester University Press, Manchester, 1911. Government Printing Office, Washington, 1961. 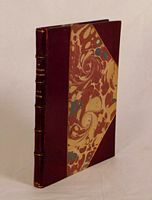 Printed by Robert Barker, & John Bill [etc. ], London, 1630 (1629). One of only two contemporary printings of the legislation of Charles' first Parliament, its dissolution leading to the Petition of Right, "terminat[ing] the opening scene in the long tragedy that ended twenty-four years later upon the scaffold"
Your search request for "constitutional law" has matched more than 50 records. (102 books matched.) If you would like to see more than 50 records, you can adjust this parameter and resubmit your search.